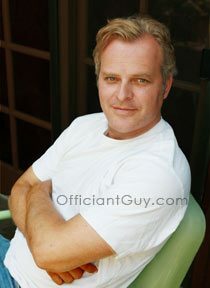 Officiant Guy > Marriage License > What is a Confidential Marriage License in California? Many times an engaged couple will call me confused about what is a confidential marriage license, exclaiming that they want to be married legally. Of course, that is the goal. 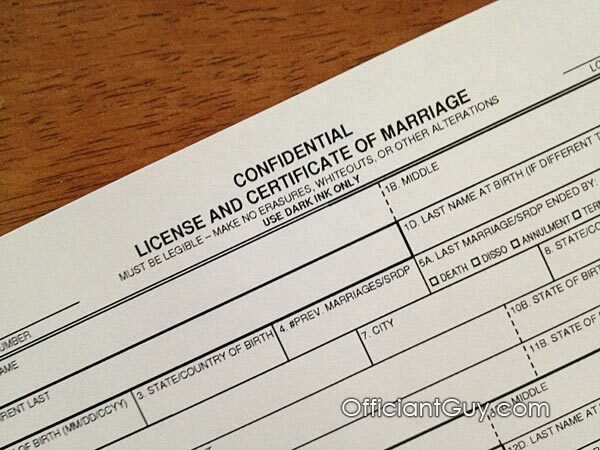 From my many years of experience as an attorney, a specialized notary, a wedding officiant and a married man, I highly recommend a California confidential marriage license. Why? Well, there are many reasons, and mainly it’s about privacy. In today’s world of identity theft and telemarketing, I strongly recommend it. It will protect your personal information and that of your parents. Yes, it’s true. If you don’t opt for a confidential marriage license, then your private information is available to anyone who asks. With a confidential marriage license in California your marriage license containing lots of personal information is sealed from view and can only be accessed through a court order. A confidential marriage license in California is really, the only way to go to protect yourself. Many couples question it’s legality, but it’s completely legal, as long as it’s issued correctly, which is something I am noted for by the Los Angeles County Clerk’s office. It’s just protected from prying eyes. The only way anyone can view your marriage license is with a court order. But if you like spam, telemarketers, junk mail, identity thieves and possible stalkers, go ahead and avoid my advice.